Jill Marie (Sturgis) Harris left to be with the Lord and reunited with her dad on January 24, 2019 after enduring medical issues. She was born October 2, 1975 into the loving arms of Terry and Marcia (Moored) Sturgis. Jill attended Martin Schools where she enjoyed being involved with sports, including basketball, track, soccer and dance lessons at Sisters 3. A few years after graduating, Jill was blessed with a beautiful baby girl, Amanda. Later Jill enlisted in the U.S. Army and earned the Commanding General Award and worked in radiology. While in the army she met the love of her life James. They were married in May 2006 at Gun Lake and were blessed with their wonderful children, Taegan and Torryn. After Jill was discharged from the Army, her husband remained until his retirement. As a military family they lived in Alaska, New York and Alabama. In 2017 they moved back to Michigan to be closer to Jill’s family. Jill was an amazing mother for her adored children spending every possible minute with them. Family was everything to her. She also loved her four-legged family members. 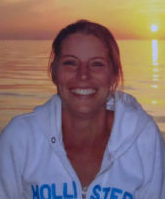 Jill will be remembered as a beautiful, loving young woman. Her flashing smile and contagious laugh will be missed. Jill may be gone but will never be forgotten and will always be loved. Jill was preceded in death by her dad, Terry and niece, Ilah Ann Sturgis. The loving family surviving are her husband, James; children, Amanda, Taegan and Torryn; step-children, Kaela, Mandy and Jay; grandchildren, Hassan, Kateri, Floyd and Kalayah; mom, Marcia; brothers, Jarrod (Tami) Sturgis and Joe (Chelsea) Sturgis along with many nieces, nephews and extended family members. Burial of ashes will take place at 2:30 P.M., Friday, February 1, 2019, at Fort Custer National Cemetery in Augusta. A celebration of life will be held at 2:00 P.M., Saturday, February 2, 2019, at the Watson Bible Church. Contributions in memory of Jill may be made to the American Cancer Society. My sincere condolences go out to you Marcia, all the family and friends of your daughter Jill. You will all be in our thoughts and prayers. I cannot even begin to process this. God bless each of Jill’s family and please accept my deepeth sympathies! My heart is once again broken for you all. Marsha and family i am so sorry for your loss it breaks my heart. I remember getting haircuts and her running through on her way to a practice. Ill be praying very hard for all of you. Tami and Family, Iam so sorry to hear of your loss, prayers to you all. We’re sending our deepest condolences to the family of Jill. You’re all in our thoughts and prayers. Dear Jill, saying ill miss you is short of how i truly feel. You were a great human being, caring, loving and giving. I cannot say how sad and heartbroken i am over your lost. S.I.P. in God’s care. You are one of his angels now. I love you! We express our condolences to Marcia and James and families, with prayers of support and comfort to all. As Martin Area Vets we have had many of our brothers pass, but loosing a sister vet is new territory, and our utmost sympathy goes out to her family at this heartbreaking time. D.R. We are heartbroken for you all. Marcia, James and all of you – sending prayers and hugs your way. Marcia..Hugs to you and your family. Kaela, love you sweet girl. Hold your Dad, daughter and siblings close to your heart. You will all need each other. I can’t express how very sorry I am for all of you. Blessed be. Jill was one of the reasons we all have great memories growing up together in Martin. In the band room (she sat right in front of me…always a good time), in the classrooms, at all the games and dances…Jill was as much a part of my youth in Martin as anybody or anything, and I still (and will always) remember her. She was a standout among all the faces in my memory of my youth in Martin.